VIRAL VIDEO: You can’t catch a ball with nachos & beer…. VIRAL VIDEO: Hammer Throw….to the NUTS! 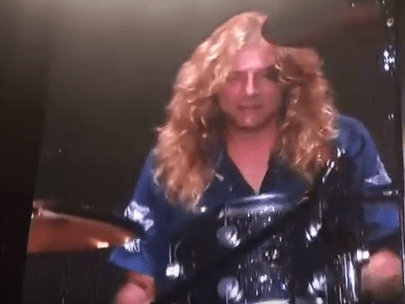 In what is now a historic performance, Steven Adler reunited with Guns N’ Roses in Cincinnati last night for the first time since April 1990.